Pats QB Tom Brady would love to get his biggest playmaker back on the field. For all that Rob Gronkowski brings to an offense, the Patriots' tight end has struggled to stay healthy during much of his four NFL seasons. That reality has carried over to Year No. 5, where Gronk has spent much of the preseason recovering from an ACL injury he suffered last January. He's taking part in full-team drills for the first time and the hope is that he'll be ready to go once the season begins, although that might be a tad ambitious. "You just can't jump right into 11-on-11 action," Gronkowski continued. "You have to do 1-on-1s, getting your body [in form], getting your legs underneath you all before that. So that's why it was good to do everything I was leading up to it, so when I went out there today, I felt like I was prepared and ready to go." Gronk announced last month that his plan was to play in all 16 games this season though coach Bill Belichick might have different ideas. First things first: Seeing if the tight end can take the field in the final two preseason games. 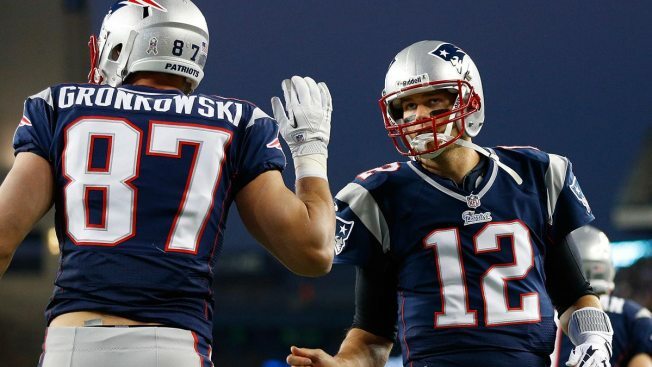 "I just love playing the game of football, so whenever they let me have a chance, I definitely want to play," Gronkowski said. "We're all on the same page. We'll see."